State worker safety regulators said Monday that they have issued nine citations and proposed $141,000 in penalties against a general contractor for an accident that killed a worker who was installing underground pump station equipment in Oakland in April. The state Division of Occupational Safety and Health, also known as Cal/OSHA, cited Oakland-based Bay Construction Co. for dismantling a trench box while employee Roberto Lopez, 47, was still working inside it at the Martin Luther King Jr. Regional Shoreline on April 27. Cal/OSHA officials said investigators found that Bay Construction committed willful and serious safety violations by unsafely removing a linear support rail that fell and fatally crushed Lopez. According to Cal/OSHA, Bay Construction assembled a trench box on April 23 to install underground pump station equipment at the Martin Luther King Jr. Regional Shoreline. Four days later, on April 27, the crew was finishing up the underground work when Lopez was compacting dirt inside the trench box and another worker was using an excavator with a four-hook bridle sling to remove the shoring system’s 5,000-pound linear rails, Cal/OSHA officials said. The hooks used for the sling weren’t adequate for the operation and one failed, dropping a rail and fatally crushing Lopez inside the trench. Cal/OSHA officials said five of the nine citations issued are classified as general, two as serious, one serious accident-related and one willful-serious accident-related. According to the agency, the willful-serious accident-related citation was issued for failing to ensure that no employees were in the trench shield while it was being dismantled. The serious accident-related citation was issued for the employer’s failure to use adequate hooks to remove the heavy linear rails. Cal/OSHA officials said the citations for serious violations were issued for failing to conduct daily inspections of the excavation site to identify any potential hazards and failure to implement multiple sections of the employer’s Injury and Illness Prevention Program, which includes providing training and instruction to employees working in excavations. According to the agency, a citation is classified as serious when there is a realistic possibility that death or serious harm could result from the actual hazard created by the violation. A willful violation is cited when an employer is aware of the law and violates it nevertheless, or when an employer is aware of the hazardous condition and doesn’t take reasonable steps to address it, according to Cal/OSHA. 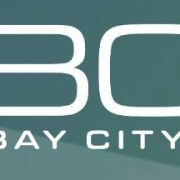 Bay Construction officials didn’t immediately respond to a request to comment on the citations and proposed fine.